Rachel’s Yoga, Pranayama and Meditation class will begin at Yoga Kula on Tuesday 6th September, 11:30am-12:30pm. The first class will be free so be sure to sign up using the link at the bottom of the blog post. We spoke to Rachel about the new class, her yoga career and her favourite yoga teachers. I’ve been practicing yoga for 7 years now. I first discovered yoga whilst I was at University in Nottingham, reading French and Philosophy. They had some great teachers there and I was hooked from the offset. My first teacher was a real role model for me, she seemed so grounded, calm and authentic. I don’t even know her name, but I hope I cross paths with her some day so I can thank her. I was at a point in my life where I wasn’t sure what I wanted to do, a crossroads, and my own teacher suggested I teach. At that point, I realised it was something which had occurred to me already, when I first started yoga, but I’d never really considered it seriously. I teach Ashtanga yoga (Mysore-style) and Hatha yoga. Ashtanga is what I have practiced for the most part, however, I’ve been trained as a Hatha teacher with a big focus on alignment, which is great. It gives me a certain freedom, as I have quite a broad base of understanding to draw from. What is your daily/weekly yoga routine? I find it easiest to practice in the morning. Not so much physically, as obviously we’re stiffer in the mornings without the days’ activities to warm us up, but mentally, I’m quieter. I get up and do sitting meditation for an hour followed by Mysore-style Ashtanga. Once or twice a week I’ll practice hatha/restorative yoga and pranayama or sometimes pranayama after my Ashtanga practice if time allows. Who are your favourite teachers in the yoga world? Ooh, we could be here for a while! In terms of Ashtanga, Joey Miles (Leeds) and Eileen Gauthier (Camden, London) are definitely top of my list, as they teach with great clarity and conviction. I also have a lot of gratitude towards my teacher Sharath at the Ashtanga Institute in Mysore, India, whose traditional approach is minimalist but highly effective. Earlier this year I was particularly taken by Iyengar teacher Christian Pisano and his wife June’s approach to teaching, when I attended one of their workshops in London. They manage to weave in Kashmir Shaivist philosophy seamlessly into their classes, which lends a very introspective quality. Last but not least, former monk Carlos Pomeda is probably the teacher who has most inspired me, he teaches yoga philosophy at TriYoga London and his wealth of knowledge, experience and passion for yoga has changed my life. What can students expect from your new Yoga, Pranayama and Meditation class? Students can expect a class that will include dynamic postural yoga with attention to sound alignment to increase understanding and awareness of the body and encourage openness in preparation for the pranayama. Options will be offered to enable students to work at the appropriate level and build strength and flexibility gradually. I will guide students carefully through pranayama and meditation techniques to turn the attention inwards. The techniques will differ from week to week and ample time will be given to explore these, as well as relaxation at the end of the class. Students can expect to leave the class feeling calm, alert and uplifted. 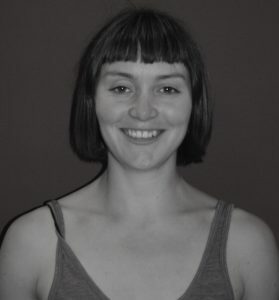 Rachel will be teaching Yoga, Pranayama and Meditation on Tuesday’s 11:30am-12:30am every week. If you are interested in trying this class, the first class on Tuesday 6th September is completely free. Booking is essential, therefore please click this link to book using your Mind Body account.